Getting enough vegetables in my diet is a constant struggle for me. I just do not love the texture of cooked vegetables when I prepare them at home. 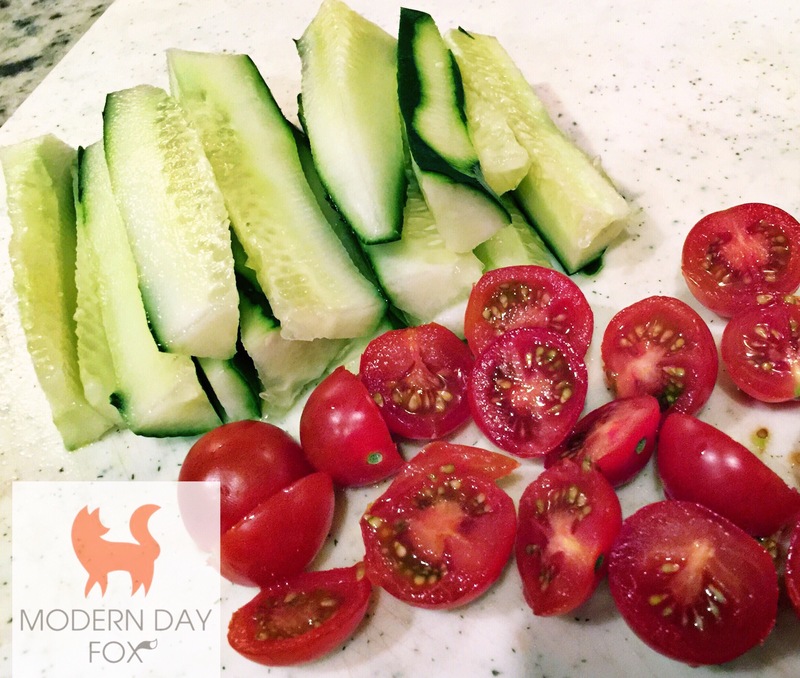 I much prefer the crunch of raw vegetables so I steer more towards fresh green salads and chopped raw veggies. While the rest of my family loves steamed broccoli or canned green beans, I often will buy a packaged chopped salad kit and eat that instead. 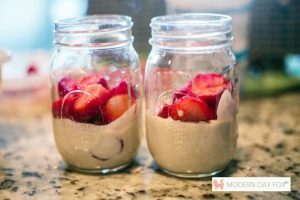 When I stumbled upon this recipe from the Ultimate Reset nutrition plan, I was excited to run right out to the store and get the ingredients. Speaking of grocery stores, do you guys have a Sprouts? We just got one about four miles from my house and I am in love with it! For one thing the produce is mostly local and does not have all that icky vegetable grade wax all over it. They also have a nice selection of Paleo and gluten-free options that is similar to what you would find at Whole Foods. And, they sell nuts, beans, flours, and candy (!) in bulk. The prices are fairly reasonable and the staff is super friendly and helpful. Two thumbs up from this girl. 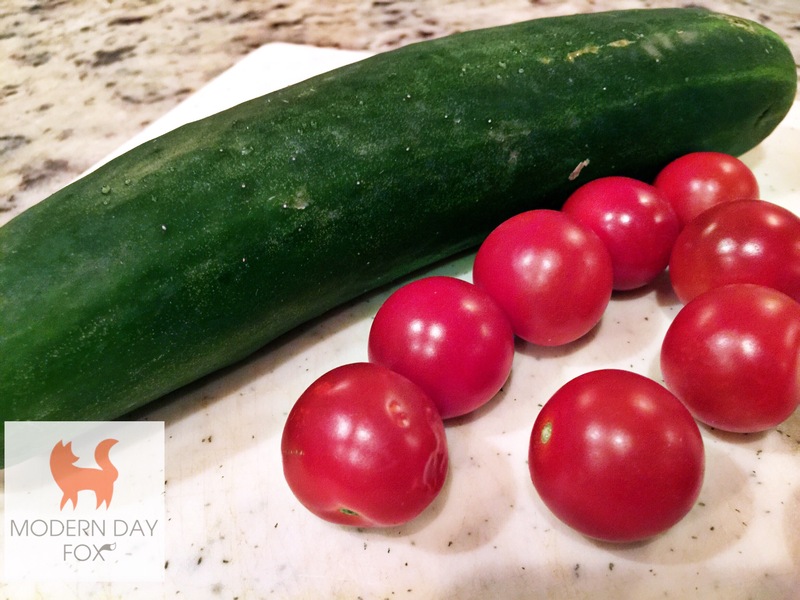 I left my local Sprouts armed with beautiful red cherry tomatoes and firm cucumbers. 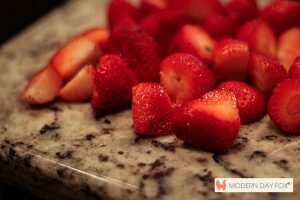 This recipe turned out beautifully and I only made a few adjustments based on my family’s preferences. We don’t do raw onions so I left those out. And, I only had dried herbs on hand so I used those. It still tasted flavorful and delicious! 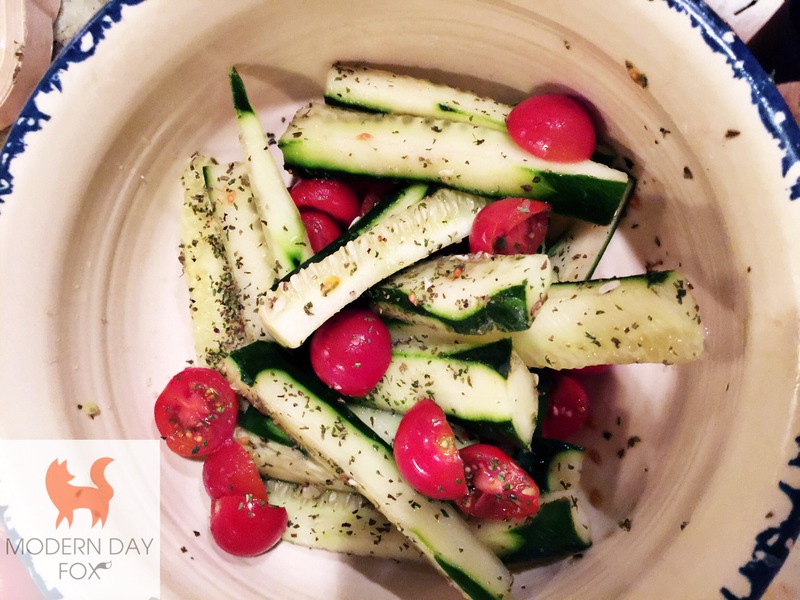 If you are trying to find tasty way to get fresh vegetables into your diet, this Cucumber and Tomato Salad might be a great addition to your menu. 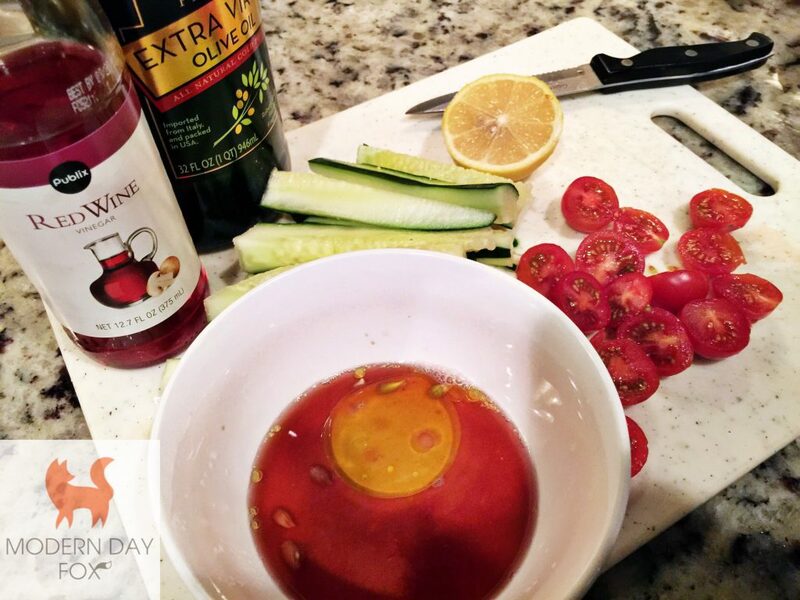 Combine red wine and balsamic vinegars, lemon juice, and oil in a small bowl; mix well. Set aside. 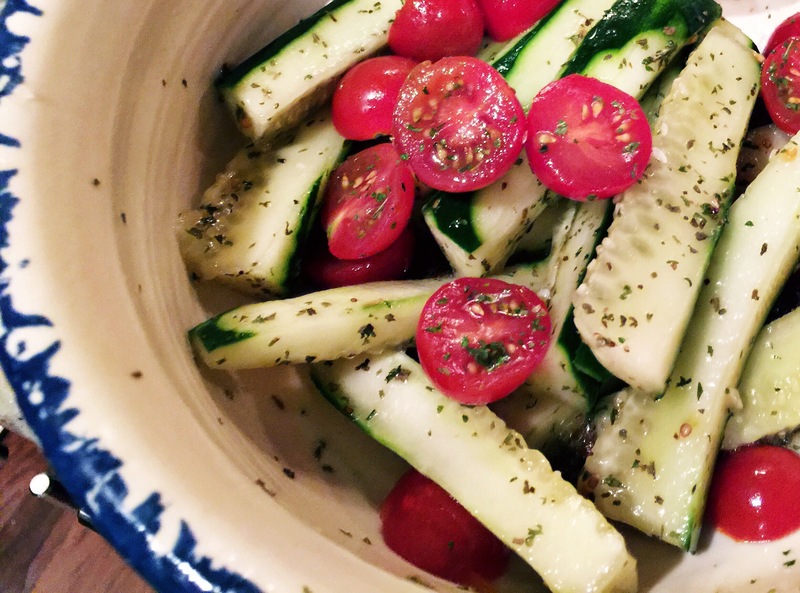 Combine cucumber, tomatoes, onion (if desired), parsley, basil, and salt (if desired), in a large bowl; mix well. Over the weekend, I got sucked into one of the Food Channel Network shows. One recipe in particular got me really excited! In celebration of football season, Bobby Flay was doing a segment on brunch tailgating dishes. 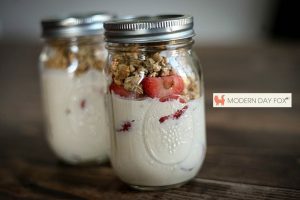 He prepared a decadent treat served in a mason jar called Berries Romanoff Parfait. Doesn’t everything just look better in a mason jar? 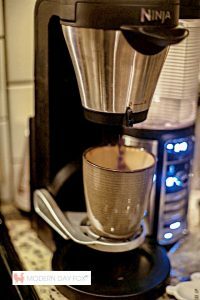 Although his original recipe called for quite a bit of sugar, he created a very interesting flavor combination including combining expresso and orange zest with the Greek yogurt. I knew I had to take a shot at making his recipe clean and diet friendly. The first thing that had to go was all that sugar. An obvious substitution would be maple syrup, along with a couple of Truvia packets should extra sweetness be needed. I could also easily switch to non-fat Greek yogurt to save fat and calories there. And, even though the granola could be homemade in a clean way, I had a store-bought healthy option on hand. The rest of the ingredients were already clean, so this recipe was a snap to improve from a nutrition standpoint. 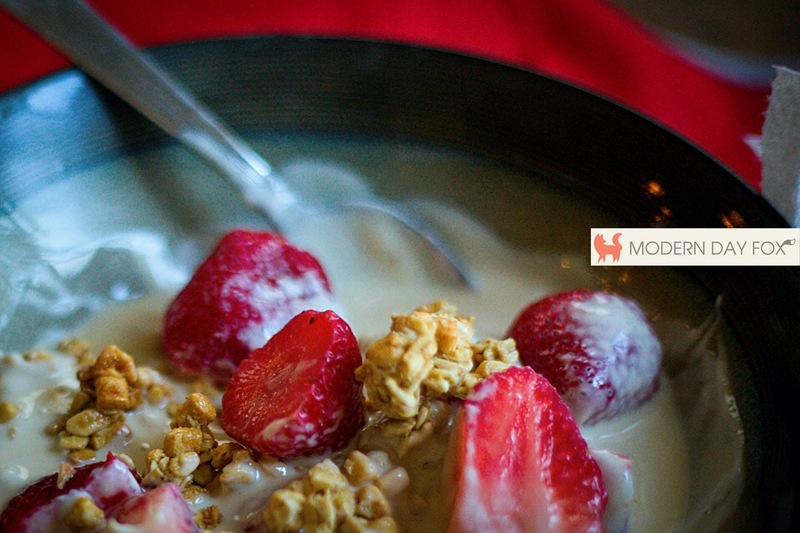 I gave it a whirl and I ended up with a delicious healthy breakfast that was both filling and flavorful. 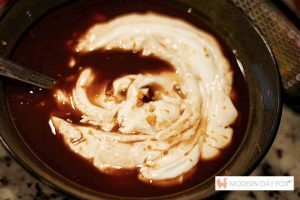 Whisk together the non-fat Greek yogurt, maple syrup, espresso and orange zest and juice in a bowl until smooth. Cover and refrigerate for at least 2 hours. You can eat straight out of the jar, or pour into a bowl. Makes three servings. 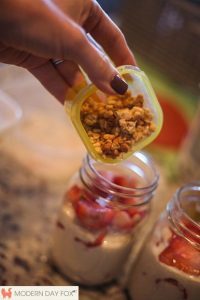 If you prefer a smaller serving, use (6) 1 cup size mason jars and split it up six ways! I like a bigger serving as it is a small meal for me. One of my best friends, Kelley, just finished the Beachbody Ultimate Reset program and had incredible results. 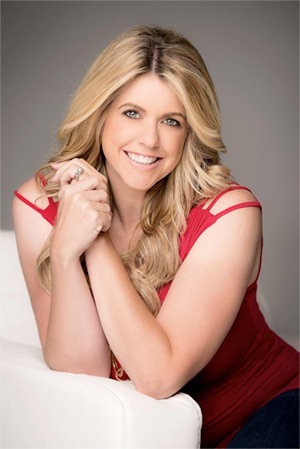 She lost a whopping 11 pounds and retrained her digestive system in a way that has vastly improved her health and energy levels. I happened to have had a visit planned with Kelley just a few days after she completed the program. Seeing how vibrant she looked, my interest was peaked about Ultimate Reset. She gave me a brief rundown and let me flip through the nutrition guide. It definitely looks intense with the last 14 days of the program being strictly vegan. The first thing I said to Kelley after flipping through the recipes was, “Ummm, don’t you remember that I am not a veggie lover?” Folks, I secretly push my broccoli onto my son’s plate to avoid eating it. (He loves it, thankfully.) If we had a dog, that would be one healthy dog because I would feed it kale under the table! Kelley promised that these recipes would change my relationship with food, especially vegetables, in a positive way. 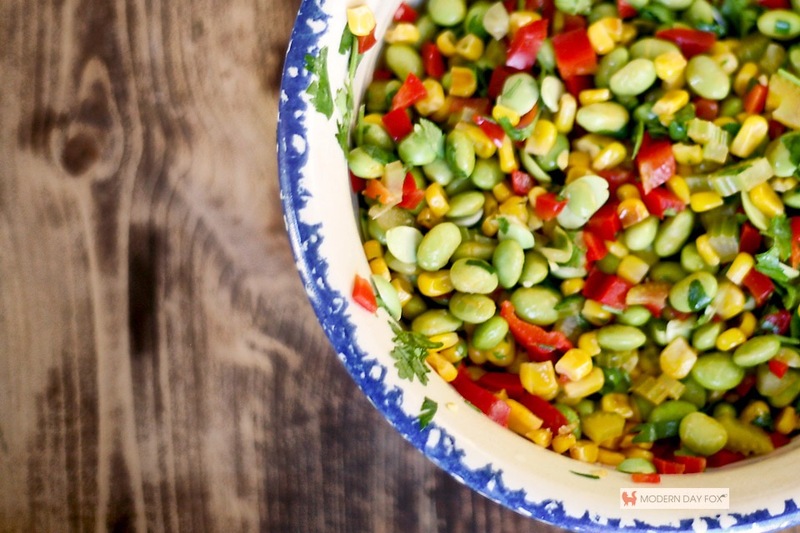 She asked me to try out one of her favorite Ultimate Reset recipes, Roasted Corn and Edamame Succotash, and report back to her. I reluctantly agreed. 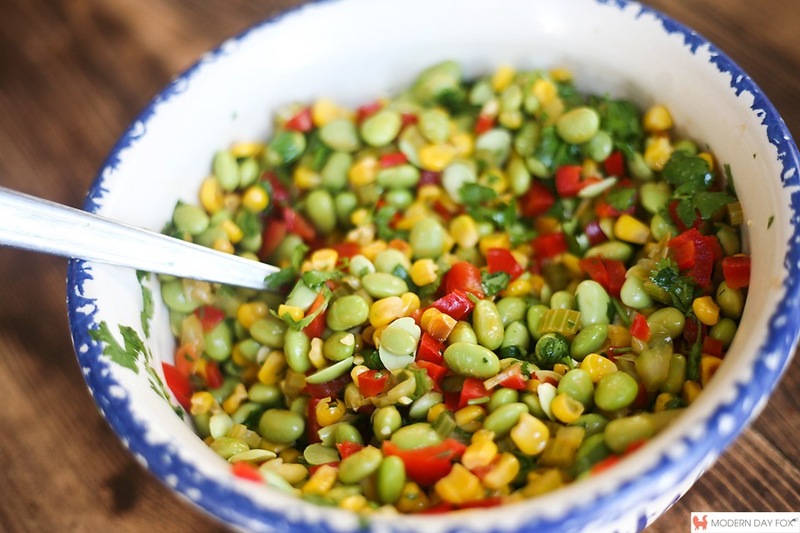 Today was the perfect day to try out the Succotash because I was invited to a neighborhood barbecue where some of the women attending are following a clean diet. I knew they would appreciate a healthy side instead of the standard mayo-laden salads and sugary baked bean. I quadrupled the recipe since the original only served one. I also left out the onions and shallots and used celery instead since onion is not very popular in my household. I have to say that I was pleasantly surprised. I have a feeling the salad is going to go from tasty to absolutely delicious after it sits overnight in the fridge. 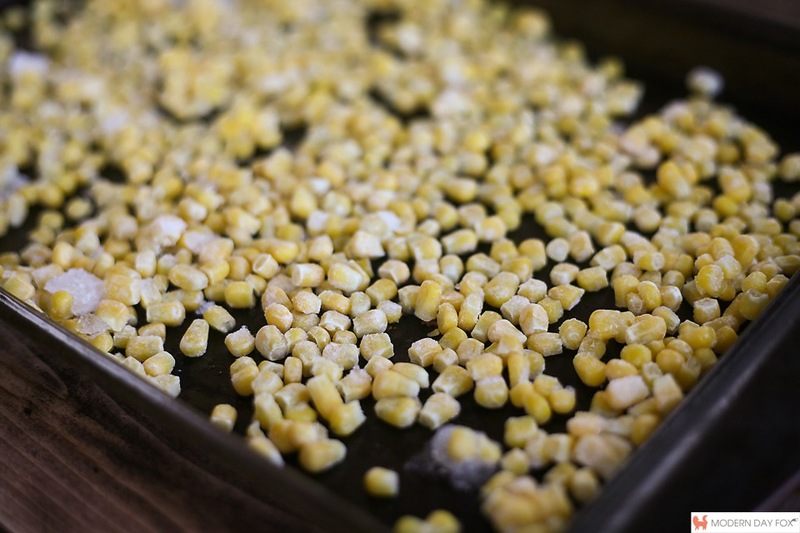 Preheat oven to 400 degrees and arrange corn in single layer on baking sheet. Roast for 10 minutes, or until just lightly browned. Remove and allow to cool. 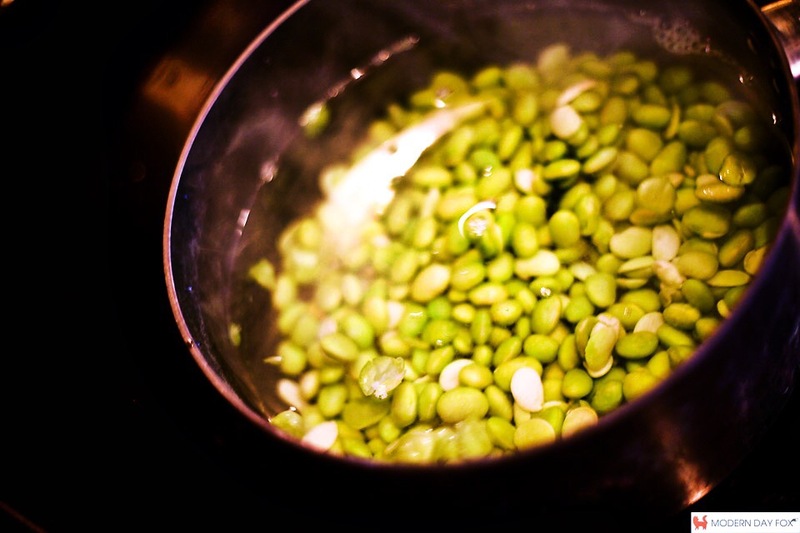 Meanwhile, bring water to a boil and cook edamame for 5 to 7 minutes. Drain and set aside. Saute onion (or celery), shallot, and bell pepper in olive oil for 10 minutes or until soft. 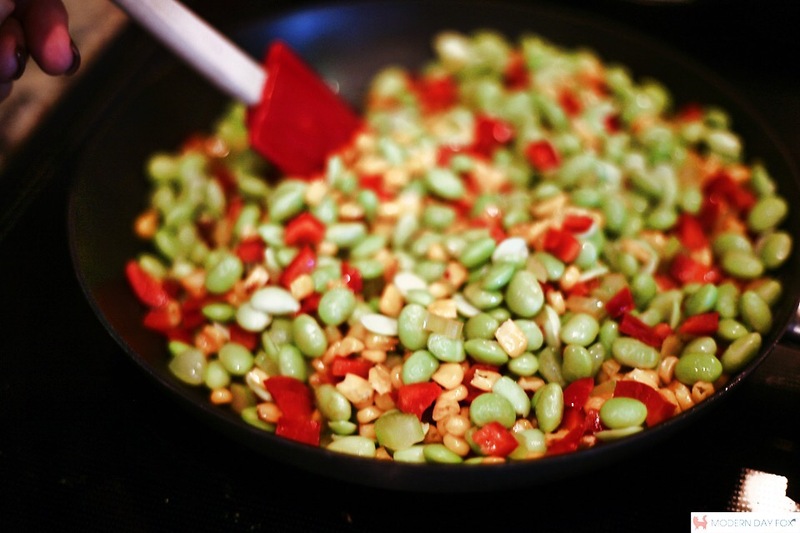 Add corn and edamame to vegetable mixture, cook on medium for 5 minutes. Add rice vinegar and remove from heat. Stir in lime juice, cilantro, salt and seasoning. Serves 6. I think most people would describe me as relatively “fearless.” I have no problem speaking in front of a crowd. During a performance, I don’t hesitate to plop down on the lap of some unsuspecting fellow just to see him squirm and get a laugh from the crowd. Aside from heights and snakes, there is not much that sets off fear in me especially when it comes to dealing with people. Cold calling. Oh my goodness, how I loathe the “cold call.” It literally makes me feel ill to think about picking up the phone and bugging someone in the middle of the day to tell them something they didn’t ask about. 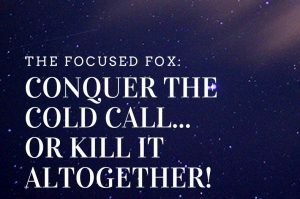 I will come up with 101 other things to do to avoid cold calling. 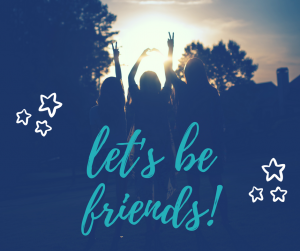 For example, I decided to write this blog post today instead of cold calling. Don’t judge me! I don’t like bothering people. I don’t like to be bothered so the last thing I want to do is bother someone else. I don’t want to get in a confrontation with someone when they feel bothered. People get really mean, especially on the phone when they don’t have to look you in the eyes. I’m afraid they are going to ask me a question that I don’t know. They are probably going to let it go to voicemail anyway, so why bother. I don’t want anyone to think bad thoughts about me or my business by making a bad first impression. Cold-calling is a fishing game. Most of the time you don’t really know why you are calling the person other than you feel they could probably use what you’re selling. You just hope that you can quickly spew out a bunch of info and something will spur a deeper conversation. That isn’t fun. I like to be pointed with my interactions with others. Is cold-calling even an effective method of sales engagement anymore? When I was young, I told everyone for years that I wanted to be an astronaut. I said I would study astronomy and work at NASA and fly in rockets and cool stuff like that. I said all this and fully believed it, even though I was marginal at math and science bored me to tears. No one ever told me that I couldn’t do it, but surely my teachers and parents must have been thinking that it was a rather ridiculous quest for my future. Ah, to be young again and to wallow in such self-belief! Reflecting on this made me think about something. At what point did we grow up and start talking ourselves right out of our dreams? 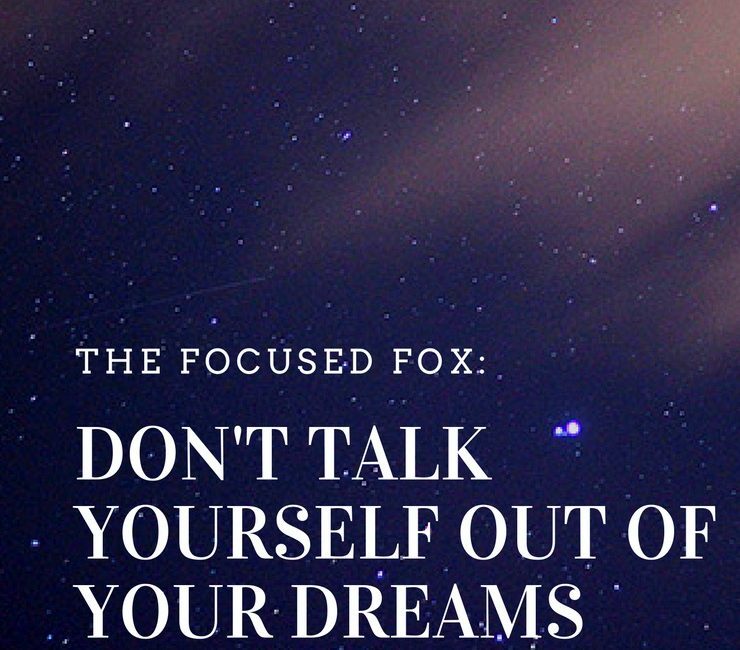 My name is Jaime Fox and I’m the creator of Modern Day Fox. This is a place where we celebrate the multi-passionate people in this world who are making it happen. This is also a place for me to create content around the topics I am most passionate about – personal development, photography, fitness, food, fashion, and music. This is a place to learn, explore, demonstrate, and achieve. Everyone is welcome!